Tasting Notes: Stand your ground! 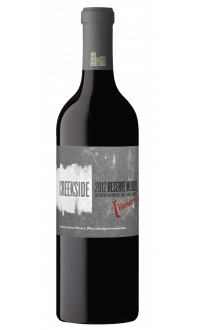 Everything you would expect from our Queenston Road Vineyard in a hot vintage; this Cabernet Sauvignon is intense. The smell of Kirsch haunts the nose while wafts of dark chocolate, sweet cigar tobacco and cedar set the tone for what’s to come on the palate. 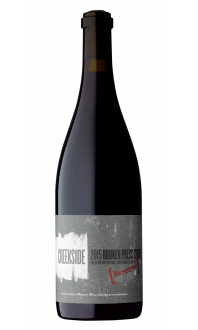 As much about texture as flavour, fine integrated tannins set the foundation for this age- worthy Cabernet Sauvignon, as the supporting bright acid vaults flavours of Black Forest cake, forest floor, cinnamon bark, and cedar resin to the front of the glass. 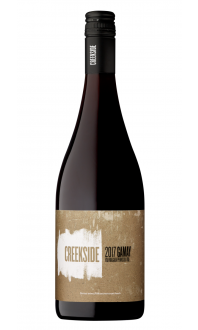 Food Pairings: Braise it, stew it, confit or grill it; it doesn’t really matter what your preparation is, this Cabernet Sauvignon calls for bravado on a plate. Fine-grained tannins and bright acidity provide the perfect backbone to BIG, rich umami driven foods like salt washed cheeses, earthy mushrooms and red meats. Cellaring Potential: Best 2020-2030. Winemaker's Production Notes: There are two blocks of Cabernet Sauvignon at Queenston Road Vineyard. One of them was planted one year earlier, so we call it the “old” block. Funny thing: fruit from that block is usually more “old world” in style, denser and meatier relative to the “new world” fruit of the “new” block. This bottling is mostly from the old block. You’ll get what we mean when you taste it.